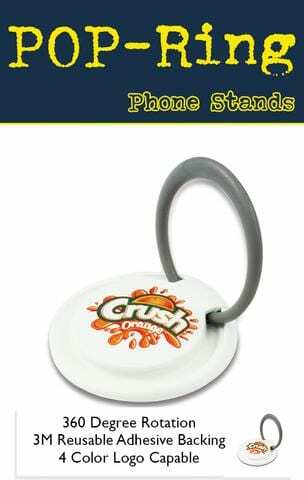 Expandable, Collapsible Pop out, Popable are just a few of the names used to best describe the pop out style phone holders so prevalent in the market place. 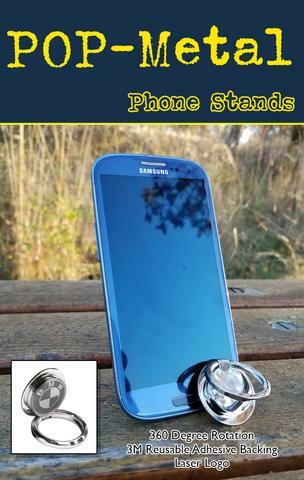 Promotional Product trend spotter Promo Motive announced today that their algorithm has clearly shown that “these phone stands are the next big thing in trade show swag”. The reason for this surge is best explained in an article written about the POPSockets in an article from the INDEPENDENT from the UK. Also further explained in this article from the promotional product swag source Promo Motive. Read more. Pop phone holders not only make terrific phone grips and phone stands, they also make holding tablets and e-readers more comfortable and secure.Contact Promo Motive at …. Your Smartphone is about to become ground zero for the next place for businesses to advertise. In an unprecedented trend spotting analysis phone holders and ring phone stands like Popsocket and PropRing are soaring on Social media, Amazon, EBay, Instagram and dozens of other key trend indicator sites as being HOT, HOT, HOT for this Winter and Next Spring! Keep your eyes open for this trend to further expand in the coming weeks. 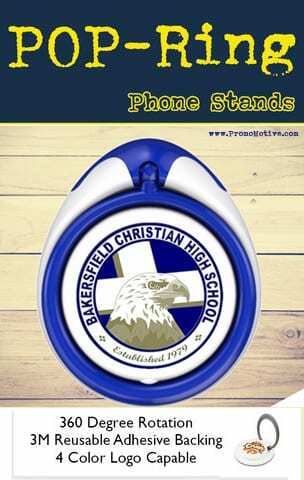 POP Phone stands for Tradeshows rate #1 with ASI. ASI has issued their latest trends for late fall 2017 and the stats are in. 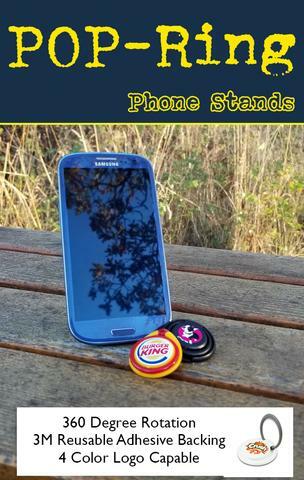 Smartphone stands are leading the way. Phone Holders and Ring stands like Popsocket and POP are leading the way with both consumers and resellers for use at Tradeshows in the upcoming 2018 season. YOUR SMARTPHONE IS THE NEXT MARKETING FRONTIER! Love them or hate them, smartphones are here to stay and they are everywhere. Curiously, until now, they have evaded effective branding. Phone cases are too varied to be bought in bulk and imprinted and the various “accessories” on the market have not shown to have any traction. So why does the phone holder and phone rings buck the trend? A PHONE HOLDER IS AN EXPANDING GRIP. A CONVENIENT SMARTPHONE STAND. PLUS A GREAT WAY TO SHOW OFF YOUR BUSINESS STYLE AND LOGO, WHENEVER YOU WANT, HOWEVER YOU WANT! 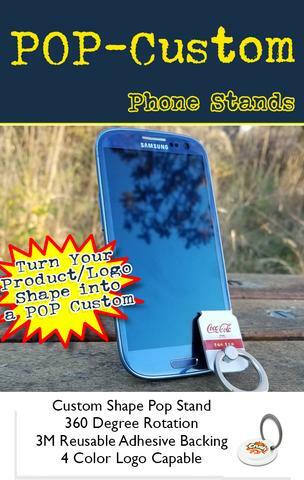 Add a single POP Phone Holder, or a pair of POP’s, to the back of almost any mobile device to transform your smartphoneinto a marketing juggernaut. Whenever your phone needs a grip, get a grip with the POP popable phone holder. Pop phone holders not only make terrific phone grips and phone stands, they also make holding tablets and e-readers more comfortable and secure. Contact Promo Motive at …. 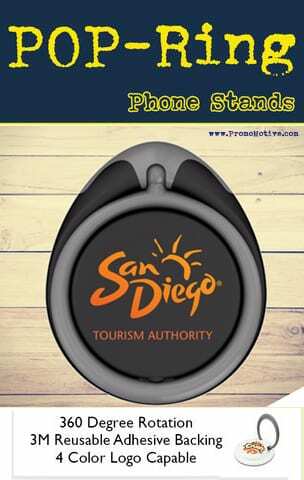 https://promocrunch.com/wp-content/uploads/2017/10/b2b-swag-pop-socket_phone_holder_for_promotional_products_tradeshow_giveaways.jpg 800 800 admin https://promocrunch.com/wp-content/uploads/2019/01/Logoheader1800x130.jpg admin2017-10-30 17:09:112017-10-30 17:09:11POP Phone stands for Tradeshows rate #1 with ASI. Add a single POP Phone Holder, or a pair of POP’s, to the back of almost any mobile device to transform your smartphone into a marketing juggernaut. Whenever your phone needs a grip, get a grip with the POP popable phone holder. Turn your smartphone into a tradeshow swag marketing machine. 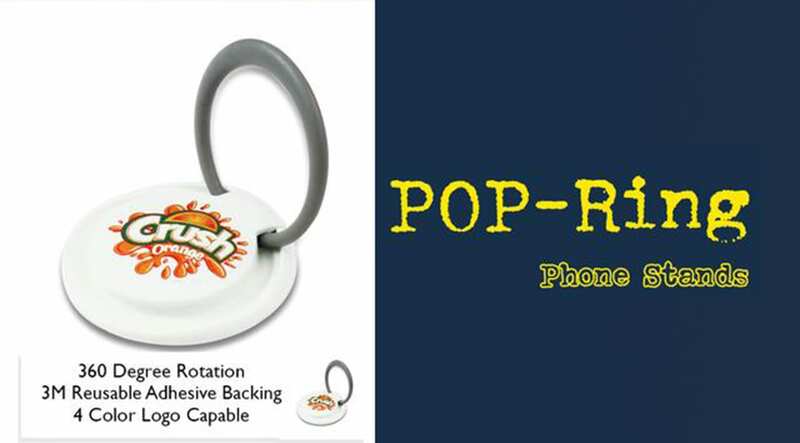 POP phone holders are small plastic contraptions that feature a“popable sytem extension” that can be placed onto the back of your phone. They are made of three parts: a logo disc, a flexible popable stem, and a Circular, Square or Octagonal base that sticks on your smartphone phone. Why do you need one? What do they do? A Phone holder gives you more to hold onto while you use your phone, reducing the risk of everyone’s biggest fear – the dreaded screen smash. A good time to use a Phone holder could be when you’re working your way through a busy crowd while texting, taking a selfie in a non-carpeted room, or filming an angry protest where Kendall Jenner isn’t there to calm things down. You can also use them to prop your phone up while watching a video, or stick on two and wrap your headphones around them. Absolutely! 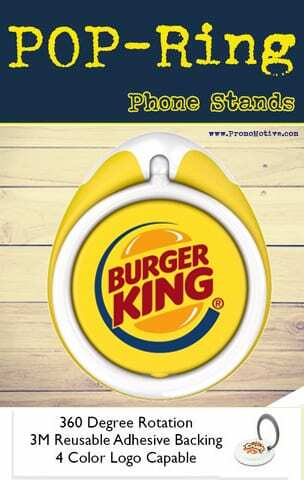 Tradeshows are the perfect pairing to go with any POP phone holder. They are inexpensive swag and provide an amazing return on your marketing investment. For more info call 1-888-908-1481 or email john@promocrunch.com for details. Visit the Popable Phone Holder Gallery here. 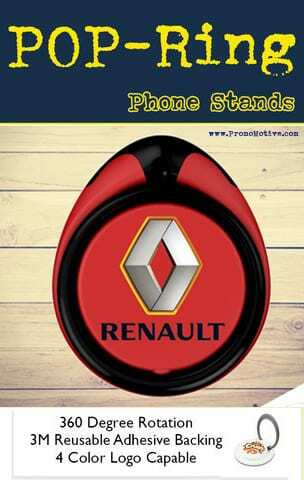 https://promocrunch.com/wp-content/uploads/2017/10/POP_custom_shaped_promotional_pop_out_phone_holder_for_tradeshows_large-1.jpg 708 1280 admin https://promocrunch.com/wp-content/uploads/2019/01/Logoheader1800x130.jpg admin2017-10-27 18:19:102017-10-27 18:30:34WHAT'S A PHONE HOLDER? IS YOUR SMARTPHONE THE NEXT BIG THING IN PROMO SWAG MARKETING? YOUR SMARTPHONE? IS THIS THE NEXT FRONTIER IN PROMOTIONAL SWAG MARKETING? IF A SINGLE WORD ANSWER IS BEST, THE ANSWER IS YES! For years, decades even, just about everything from the lowly T-shirt to coffee mugs, pens and padfolios have been fair game for promotional advertising. The purpose has been and remains a simple one. To imprint your brand and logo into your clients mind for the least amount of cost per imprint. 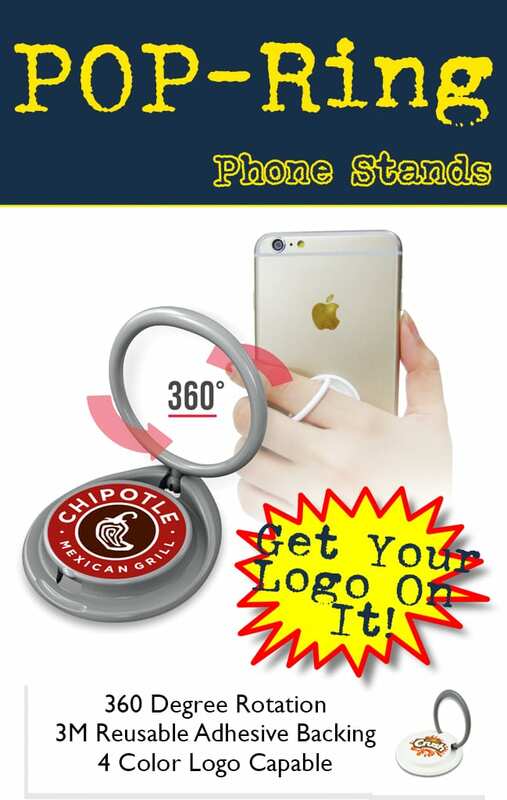 Get your business or event logo on a Pop Socket ring holder and grip for tradeshow promo swag. The adage “It takes 7 imprints to make an impression” is an old one but one that still holds true. Basically it goes like this. To be made sufficiently aware of your logo or brand a prospective customer must see the brand (imprint) at least 7 times! The selfie stick had its day but is now as stinky as yesterdays fish! In the end it never was a good branding vehicle and using one often came with DORK attached to the user. But the real reason is as follows. The selfie stick made for good “selfies” because the reach of the stick gave the smartphone cameras of 3 years ago enough distance to the subject to provide a great shot. However, the latest generation of smartphone cameras are so good they no longer need that distance (focal length) to the subject. The options for attachable phone stands for your smartphone are many. Here are just a few. Visit the Smartphone stand gallery. https://promocrunch.com/wp-content/uploads/2017/10/new_marketing_ideas_1024x1024.jpg 350 1023 admin https://promocrunch.com/wp-content/uploads/2019/01/Logoheader1800x130.jpg admin2017-10-27 17:47:392017-10-27 17:50:11IS YOUR SMARTPHONE THE NEXT BIG THING IN PROMO SWAG MARKETING?